Something to celebrate? Family to treat? Staff to reward or clients to impress? 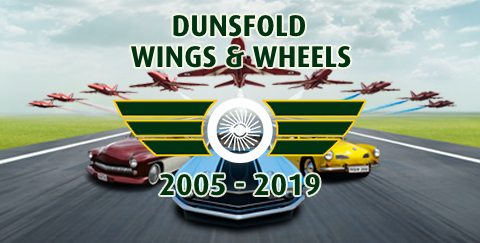 Wings & Wheels hospitality facilities are located in the heart of the action with informal indoor and outdoor seating areas to accommodate you and your guests. With a variety of hospitality options over the show weekend and prime viewing of the air displays and motoring demonstrations, Wings & Wheels is the place to impress, relax and enjoy a British summer's day. Father's Day Hospitality is available on Sunday 16th June for £129 for adults and £99 for children aged 5 - 15 years. For further information click here. To purchase go to our shop by clicking here. If you have a special celebration let the team know and we can help you add those extra special touches to your booking. Children's packages (aged 5-15) start from £99 (incl. VAT). Group booking discounts for tables of 10 or more are available upon request. Please speak to a member of the team regarding Under 5's. For more information please click here. Hospitality tickets are available for the 2019 event here. Catering is not included and event tickets are additional and need to be purchased in advance. Bookings made in advance will secure our special rates of £24 per adult, £8 per child and £55 for a family ticket (2 adults, 3 children). For further information click here or to book please contact the team on 01483 542226. Applications for Veteran Hospitality are now open. Please click here for an application form.